Home > Blog > Where Does All the Caffeine Go? Where Does All the Caffeine Go? 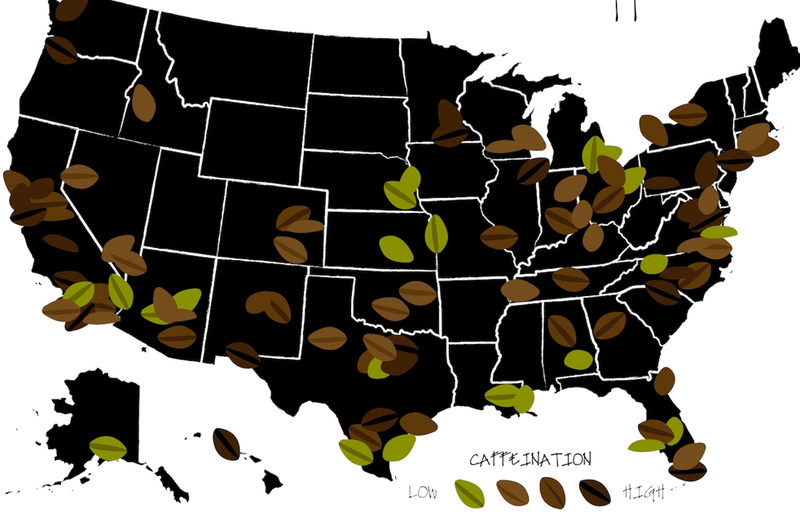 We often wonder where all the caffeine is consumed in America. Do office workers sipping on coffee all day account for the majority? Do athletes needing that extra edge consume the most? Do moms in need of increased energy boost any one particular city? The answer is most likely a mix of all of the above. These are towns where nearly everyone is always on the go and in need of a caffeine pick-me-up. There are warm and cold climates, east coast and west coast and most of them are large urban areas where life moves just that added touch faster. All of them are places where inhabitants could use a little natural energy! Something to consider when looking at this list – does this list constitute only coffee drinkers? Surely there are cities where energy drinks and caffeine supplements are more prevalent. But, if you look at this list, many of the cities on there are full of the hustle-bustle you would associate with needing added energy. Many consumers like to start the day with a cup of coffee for a multitude of reasons, whether it be for a small jolt of caffeine or merely out of habit. But as the day wears on, and they get busy, they don’t have the time or the energy to find a coffee shop. Many people can’t afford the added calories or don’t want the taste of coffee. That’s why the top ten cities should run on GreenCoffex! Our 8-hour sustained energy time release capsule are great for those on the go wherever they may be. It fits in your pocket, tastes like nothing and has zero calories. It’s good for moms on the go, athletes, caffeine junkies or anyone else looking for a general pick-me-up. What do you think? Did your city make the list? Would your city make the list if it were only judged by energy drinks and caffeine pills – as opposed to java? Let us know in the comments below. Here’s the deal.. lay out a case why your city (or even your house) should make the grade for one of America’s Most Caffeinated Places, and we will send you some GreenCoffex® to get you moving!